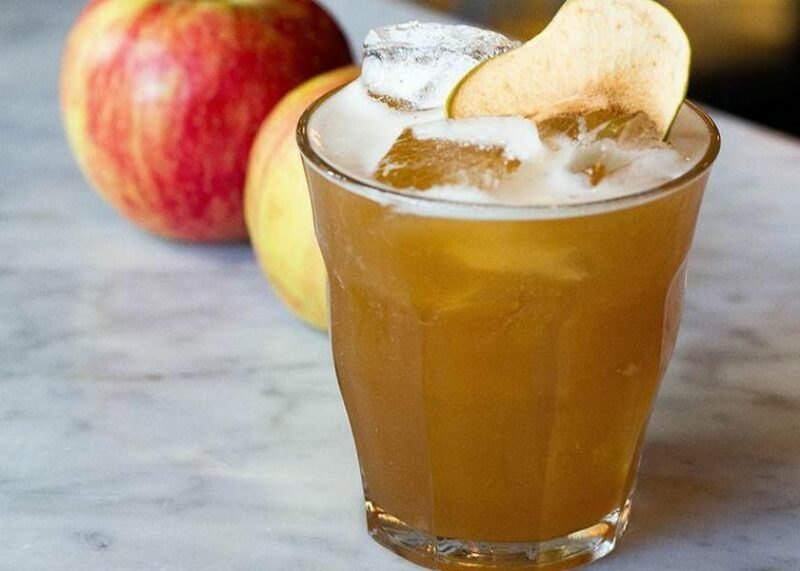 Toast to fall with a aromatic, apple-flavored tipple. Fill a large cocktail shaker halfway with ice. Add apple cider, whiskey, vermouth, and bitters. Shake. Garnish each with an apple half or slice.